Discontinued Hearing Aid Analyzers – Frye Electronics, Inc. 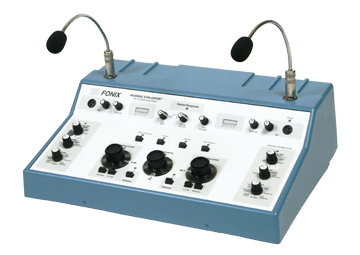 The FONIX FA10 and FA12 Audiometers were discontinued on December 31, 2012. Limited support including repairs and calibration, by third party, will be available until at least December 31, 2017. We are currently including the FA10/FA12 in all verification testing of the FONIX NOAH Audiometer Module and WinCHAP. 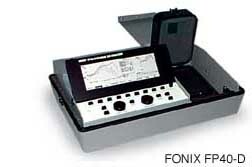 The FONIX 7000 was discontinued on December 31, 2010. Full support including repairs and upgrades to the last software version will be available until December 31, 2015. We are also currently including the 7000 in all verification testing with the FONIX Real-ear Module, Troubleshooter, Press & Go, and WinCHAP. The FONIX FP40/FP40-D was discontinued on January 31, 2009. Support was discontinued as of January 31, 2014. We no longer offer upgrades of either hardware or software for the FP40/FP40-D. No parts are available for repairs, and it is no longer being supported by our Windows software products such as WinCHAP and the FONIX Real-ear Module. We are pleased to offer trade-ins towards the purchase of an FP35 Touch or FONIX 8000 Hearing Aid Test System. Contact sales@frye.com for more details. 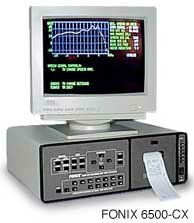 The FONIX 6500-CX was discontinued on January 1, 2005. Support was discontinued as of December 31, 2009. We no longer offer upgrades of either hardware or software for the 6500. No parts are available for repairs. The 6500 is no longer being included in any software verifications of our Windows products. However, past support for the 6500 was not removed from the FONIX Real-ear Module or WinCHAP, so existing functionality should still work, but we make no guarantees.